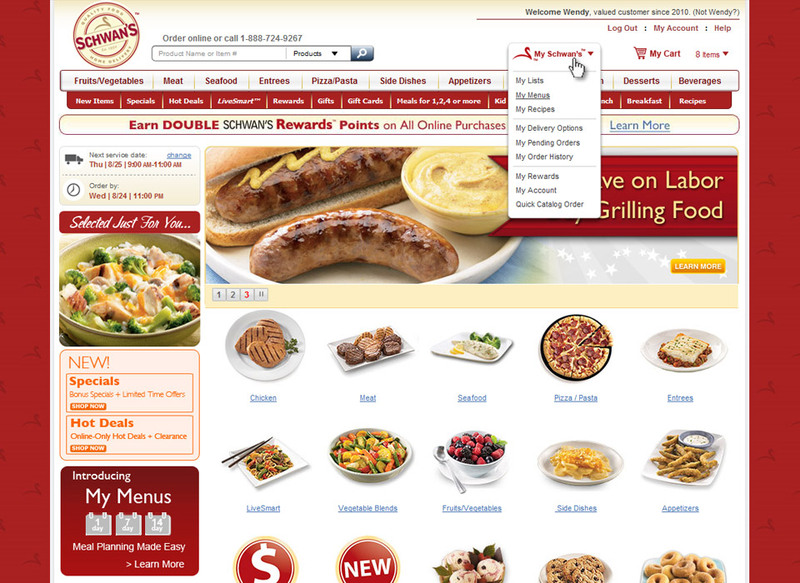 The Schwan Food Company is a multibillion-dollar, privately owned company with 15,000 employees in the United States. 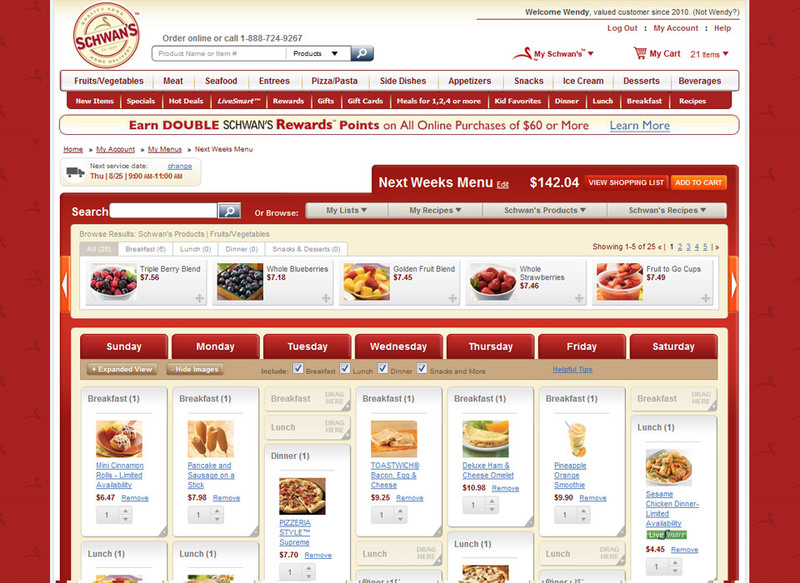 Schwan’s engaged us to create a new online meal planner for their website. 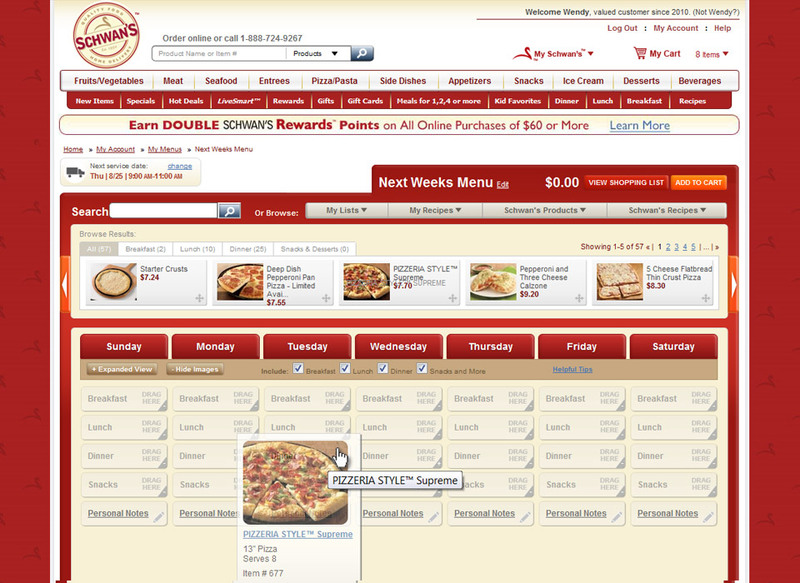 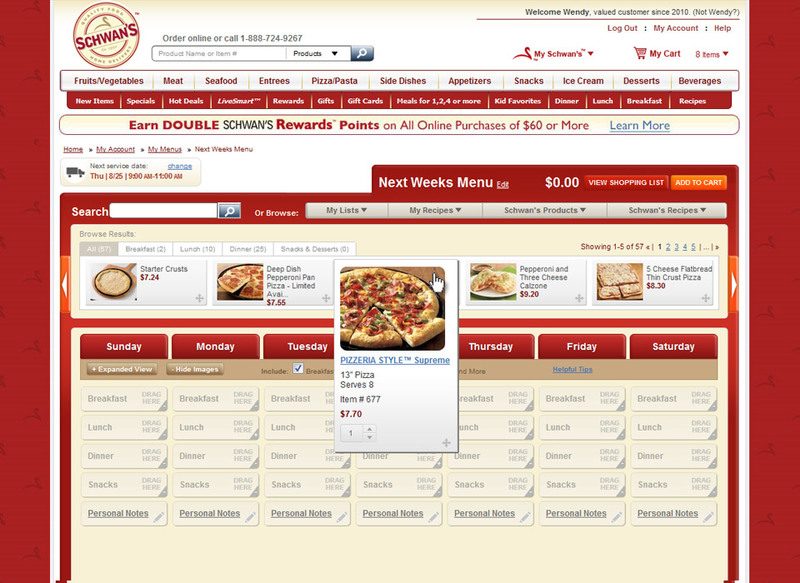 Users are now able to plan out their family menus on a weekly and bi-weekly basis online. 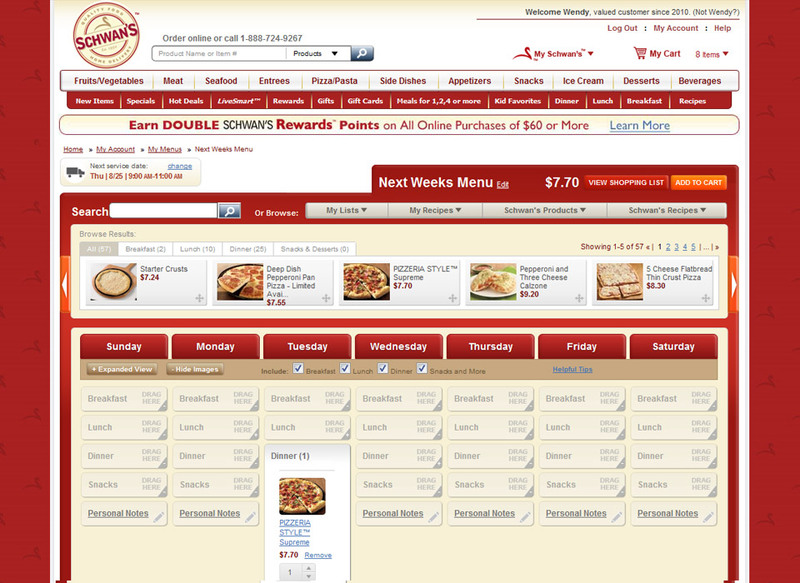 They can click and drag Schwan’s products into their weekly planner and then purchase all the products at once. 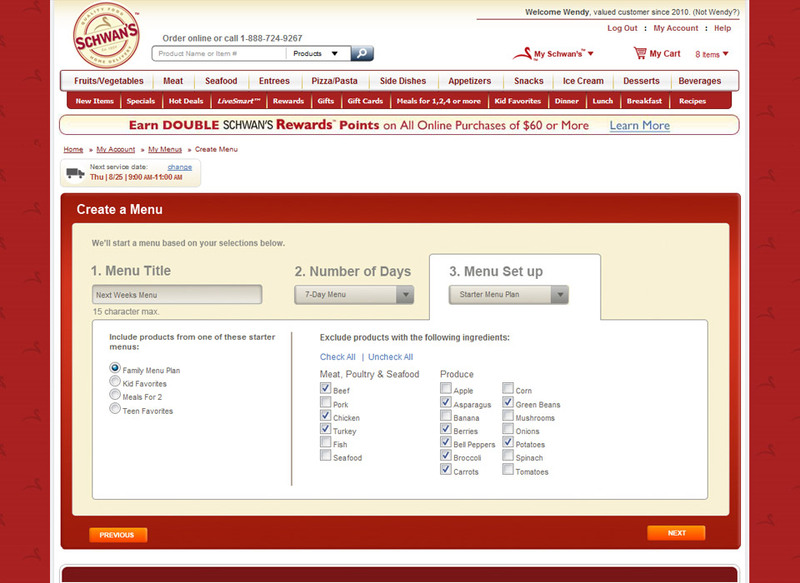 In addition, users can also save their configured meal plans into their my account area for later access.